"One of my favorite pies to make at Thanksgiving, this cranberry apple pie has just the right amount of sweet and tart." 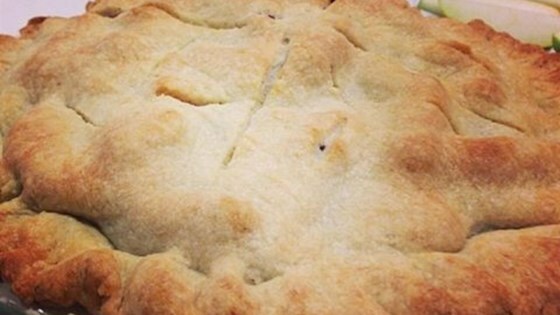 I use Jen's Killer Pie Crust pie dough recipe. We made this for Christmas and it was AMAZING!!! Perfect amount of tart and sweet. The cinnamon and nutmeg combined with the lemon zest made it so unique and tasty!